A woman holding a child sleeps at Southeast Raleigh High School in Raleigh, N.C., on Wednesday after being evacuated from her home ahead of Hurricane Florence. Waves crash underneath the Oceana Pier as the outer bands of Hurricane Florence begin to affect the coast on Thursday in Atlantic Beach, N.C. Coastal cities in North Carolina, South Carolina and Virginia are under evacuation orders as the Category 2 hurricane approaches the United States. 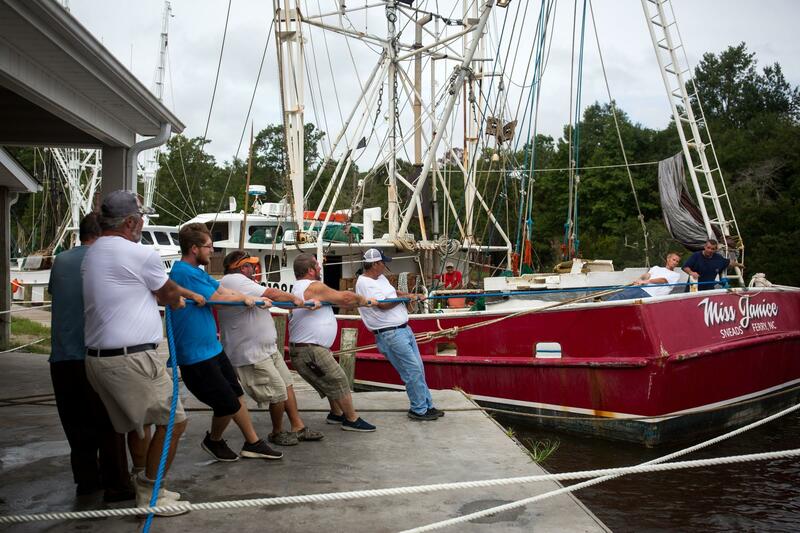 Crew members and boat owners help moor the Miss Janice, a shrimp boat, to the dock at Mitchell Seafood on Wheeler Creek in Sneads Ferry, N.C., on Thursday. Brandon Mendoza, Lonis Hernandez and Charlie, drive around capturing signs of Hurricane Florence in Wilmington, N.C., on Thursday. Weather and emergency officials are warning people in Florence's path not to interpret maps showing the location of the storm's center, or reports that it is losing top wind strength, as signs that they should relax. The storm is huge, the National Hurricane Center says, and its worst effects will reach "a large area regardless of exactly where the center of Florence moves." Thousands of power outages due to Florence have been reported. As of 10:30 p.m. 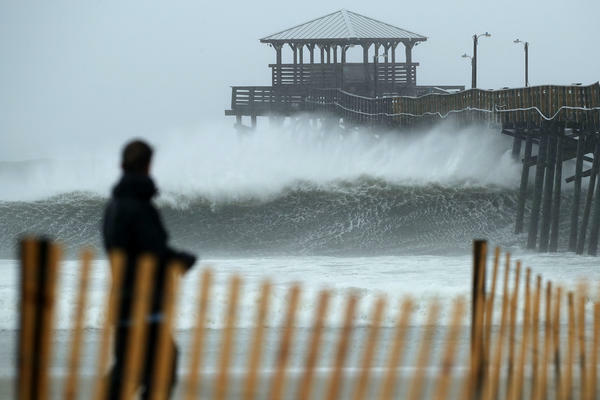 ET, more than 140,000 customers along the coast were without power, according to outage maps from Duke Energy and the N.C. Electric Cooperatives. 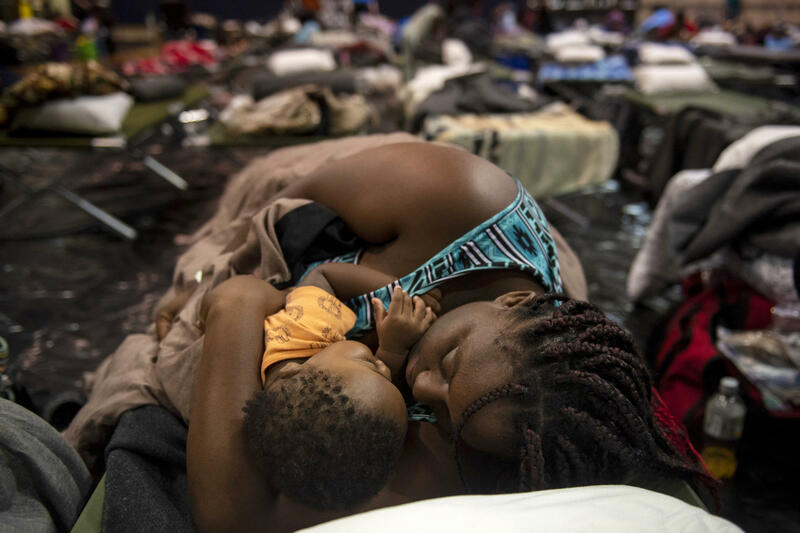 North Carolina had 108 shelters open, and South Carolina reported having 56 shelters open on Thursday morning, as the storm headed toward the coast. Both North Carolina and South Carolina are updating their lists of emergency shelters for people caught by the storm. When staffers realized a nearby Bojangles would stay open, NBC's Matt Bradley says, they opened back up. Customers have included police from nearby Myrtle Beach, an employee told Bradley. Just below the border, in Horry County, S.C., officials instituted a curfew on Thursday, to last from 7 p.m. to 7 a.m. every day "until further notice." Other areas, including the cities of Darlington, S.C., and Greenville, N.C., imposed their own curfews, set to begin Thursday night. Cramer says they are expecting ocean water to flow over the sand dunes and bring sand into the town. On the inland side facing the river, Cramer says rising waters will very likely be "lapping at the first floor of our elevated homes." This vulnerable area has been under mandatory-evacuation orders since Wednesday night at 8 p.m., and those who are choosing to ride out the storm have been under a mandatory curfew since that time, to keep people inside. "This time it's important. 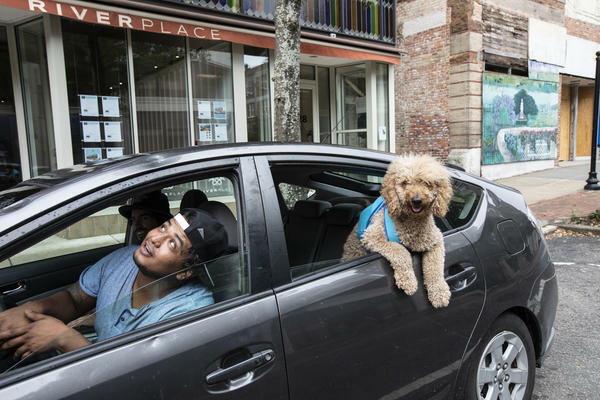 If you're in a low-lying area, get out," Mac Hodges, the mayor of the town of Washington, told NPR's Brakkton Booker. "Because I don't know that we can go in and get you." At the nearby Arthur Christian Church, Booker reports, about 20 people were praying together as the storm barreled toward the Carolinas. "Gracious heavenly father God, just with those in the flood zone, may the damage not be so much," they prayed. For people who stayed behind near the coast, or find themselves facing the brunt of the storm, officials are offering safety advice. Among the tips: Prepare a safety kit and avoid driving through floodwater. "I have video games, board games, movies, if we still have power," he tells McCammon. "Tons of food, ice. We've already got ice; the cooler's packed." His friend Daniel Gomez is also planning to stick around. "It's fun in a sense; at the same time, it's scary — hard to describe if you've never done it before," Gomez tells McCammon. The Outer Banks Hospital expects to keep its doors open for anyone who needs emergency care during the hurricane, McCammon reports. The hospital's president, Ronnie Sloan, said it is remaining open for "the same reason we got into health care." In light of the powerful storm, at least 12 Division 1 college football games have been moved or canceled, according to the NCAA. The director of athletics at the University of Tennessee has announced that displaced families are welcome to come to its game on Saturday against the University of Texas at El Paso, free of charge.